Come visit TNT Services in Oceanside! We are proud to specialize in all your Auto Repair needs. As your premier auto repair shop in Oceanside, our highly-trained automotive mechanics take great pride in their specialties including but not limited to: Engine Repair, Brake Repair, Transmission Repair, and Auto Electrical Service. 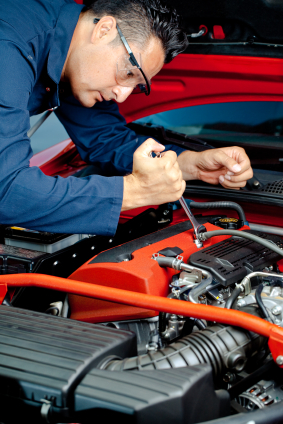 Each of our reliable specialists undergo automotive repair training to meet all your auto repair needs. The owners and maintenance experts of TNT Services have been honored to serve Oceanside for the past 38 years and many more to come. While we focus on Auto Repair, Engine Repair, Brake Repair, Transmission Repair and Auto Electrical Service, we also provide a long range of other auto repair services listed on our services page. Our auto repair experts have built our reputation by superior service here in Oceanside. Whatever your vehicle maintenance requires, come see us at TNT Services today! From Brakes to transmission to engine work, we are your TRUE one stop auto repair shop in Oceanside. We provide trustworthy, fast, reliable, and quality work at the right price. Dont just pass through; come see us for any of your auto repair needs. "Being new to the Oceanside area (from Scottsdale, AZ), I.."
"Hands down the most professional group of people you could.."
"Thank you so much for fixing my car. Nancy and.."
"I felt really comfortable with everyone I interacted with in.."
"After ongoing and continued business dealings with TNT, I can.."
"I recommend you all the time. Best service ever!" "That I'm sad that I'm moving because I am no.."
"That I highly recommend them. They are professional but caring!" "A+ -Best shop out there." "Excellent. I have complete trust in their recommendations and work..."
"They go above and beyond to take care of the.."
"I would say the mechanic Tim at TNT who works.."
"Outstanding . I wont take my cars any where else.."
"Excellent service, upfront and HONEST. Unlike any repair shop I.."